Bridgend Lifesavers Credit Union has developed a strong working partnership with The Wallich in order to help tenants to secure a home. What is the Wallich Bond Board project? The Wallich Bond Board project assists people on a low income to find private, rented accommodation. Private landlords often demand a large deposit or ‘bond' and without this lump sum of money, it can be difficult to find somewhere to live. If a tenant is eligible, the Wallich Bond Board can issue a two year bond certificate to cover the cost of a deposit on a rented flat or house. The bond certificate will remain in place for a period of two years. This bond certificate guarantees payments to landlords if the tenancy ends prematurely or if repairs are needed once the tenant has left the property (within the 2 year period). A bond certificate will be issued to all eligible tenants on the understanding that they save towards the bond over a two year period. This is then transferred over to the landlord who will hold this bond as a deposit for the remaining term of the tenancy. Who is eligible to apply for a bond with the Wallich? To check eligibility please contact the Wallich Bond Board on 01656 654442. 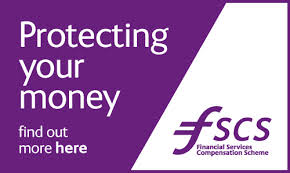 Your Savings are protected up to £85,000 by the financial services compensation scheme (FSCS) For more information please click on the image.